Has Patrick Ewing still not been given a shot to be a head coach? If it seems like he has been trying for years, that’s because he has. 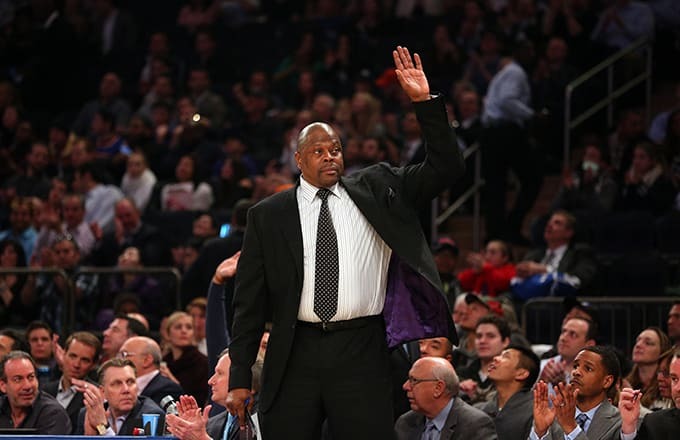 Ewing, currently the associate head coach of the up-and-coming Charlotte Hornets, has been an assistant in the league for 13 years, and he has interviewed twice for head coaching jobs (with the Pistons in 2011 and Bobcats in 2012). But while other retired players like Derek Fisher and Jason Kidd have gotten head coaching gigs right after their playing careers ended, for some reason Ewing has been riding the pine. No love for the big guys! Well, the Knicks legend wants that to change, and he wants his opportunity to come with the team he led as a player for 15 seasons. Kurt Rambis is New York’s interim head coach, and team President Phil Jackson is reportedly considering making Rambis the full-time coach (because, you know, that 8-18 record since Rambis took over for Fisher is too good to ignore). There have got to be better options out there, right? Other names in the mix: Luke Walton, David Blatt and Brian Shaw. If Rambis is not the guy, don’t be surprised if Ewing at least gets an interview. “I’ve been doing this, what, 13 years now? I see people who don’t have the same amount on their resume as I do and still have gotten opportunities,” Ewing said Wednesday. What do you say, Zen Master?